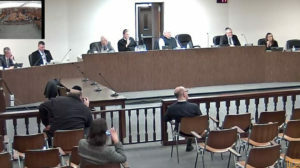 The Lakewood Township Committee this evening unanimously passed a resolution denouncing “Rise Up Ocean County”, a hate group which has been spreading hate and incitement on social media in recent months. With this resolution, Mayor Ray Coles and his colleagues on the Committee – Democrats and Republicans – declared in no uncertain terms that hate has no place in Ocean County, even when ostensibly presented as discussing legitimate issues. Rise Up has published vile imagery and videos about Orthodox Jews, and even twisted the words of a famous Holocaust poem to denounce local Jews. 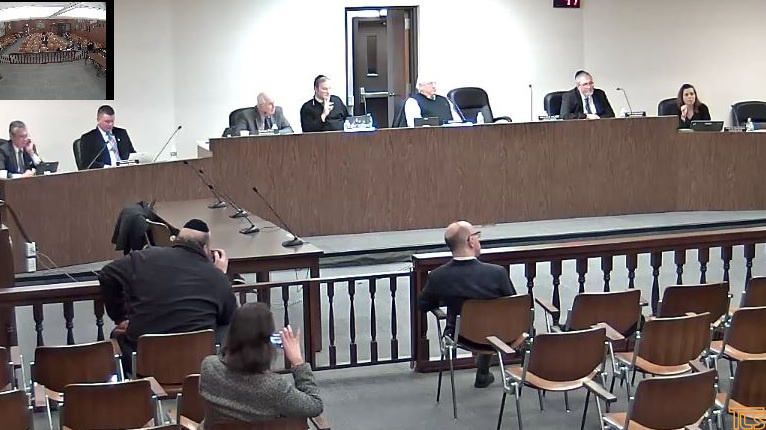 There are 8 Comments to "BREAKING: Lakewood Township Committee Unanimously Denounces Local Hate Group"
Each and every Talmud including the Rosh HaYeshiva Reb Yeruchim seen in the video should press charges against the organizers of this ridiculous group. They should be charged for incitement and Defamation. Unless they are also just disturbed homeless individuals and in that case its OK. Goodness!!! Is this what prewar Europe looked like? And all the smart ones moved, the others ignores the signs – it was too hard to take such a big step. Scary!! For those interested, it seems that similar resolutions will be proposed and considered by Jackson and Toms River at next weeks council meetings. I am concerned that this type of action only gives them more name recognition that could increase their numbers. By public condemnation at this level we are making them more important than they are. And when they right that they aren’t anti-Semitic or fascist – blah, blah, blah – they are like those who virulently speak out against Israel but only claim to be anti-Zionist, not anti-Semitic. The Nazi’s ultimately met their fate. Go to their web pages and report every one of them to google etc as hate speech!